According to researchers "this natural substance has a weaker psychoactive effect and, at the same time, is capable of inhibiting inflammatory processes in the brain". The laboratory expanded its footprint from 3,000 to 6,000 square feet to be able to put in new instruments needed for the required regulated pesticides testing for adult cannabis required by Health Canada. ICCI is the first Europe-based partner for ASTM International’s cannabis committee, which has grown to more than 500 members worldwide in its first two years. With a simple cheek swab, TestMyTolerance helps users understand how they may react to the active components of cannabis. This service can help producers identify plant pathogens contributing to loss of yield or quality in your grow facility. 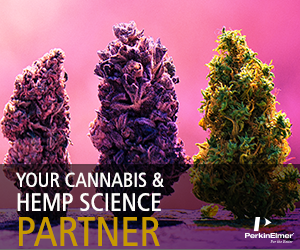 The partners aim to create high-quality, comprehensive genome assemblies of several varieties of cannabis to uncover and utilize the genetic variation of the species in a breeding program. Canadian researchers have recently expressed concerns over the unquantified risks associated with smoking cannabis. As the number of Americans who regularly use cannabis has climbed, so too has the number of those experiencing cannabis withdrawal symptoms. The large scale production of all cannabinoids could soon be possible thanks to a biotech company based in Hungary. Could Cannabis Make an Effective Dementia Treatment? Sundial Growers and the University of Saskatchewan have just agreed to investigate the use of cannabis to treat dementia as part of 3 year agreement.